Big Brother: Who Will Be Crowned the Winner? Cody hates everything about Big Brother (aside from Jessica). However, he still needs to vote for a winner. If Paul makes it to the final two, he will get a vote from Cody. If the final two is between Josh and Christmas, we have a feeling that Cody won’t give any votes to the meatball and give some love to Christmas. Though Elena was tricked by Paul during the season, she truly realizes that it was awesome game play. Her vote will go to Paul if he is in the running. Unlike Cody, I think Elena will give her vote to Josh. Though they did not always get along, Elena realizes that Christmas hasn’t done much this season. Mark cannot stand Paul’s game play, so I wouldn’t expect him to vote like Cody and Elena. Mark has built a strong friendship with Christmas so I think she may get a vote from him. However, Mark wants to see someone who actually won competitions (without them being throw to you) win the game, so he could go for Josh. I still think Christmas has the vote though. Matt is so delirious and thinks that he, Raven, and Paul were the true alliance. He will throw a vote Paul’s way tonight. If he has to make a decision between Josh and Christmas, I think he will pick Josh. Matt and Christmas did not have much of an interaction in the house. I highly doubt Jason will vote for Paul after everything that happened with his eviction. Christmas also won’t get a vote from him because she was the one who made the decision to evict him. Jason will vote for Josh and most likely Paul if it comes down to he and Christmas as the final two. Like her Big Brother boyfriend Matt, Raven will vote for Paul. After all, they were the two puppet masters of the house… If Raven needs to make a choice between Christmas and Josh, she will vote the same way her man does and go with Josh for the win. Alex was by far my favorite player this season on Big Brother. If only, she hadn’t listened to every single thing Paul told her. Regardless of being backstabbed, Alex knows what good game play looks like and will reward Paul with a vote. If it comes down to Paul or Christmas, she will go with the meatball. When Kevin was evicted, he told Julie that he is backing Paul, so I am sure he will give him a vote if he makes it to the final two. He also had a strong relationship with both Josh and Christmas, so if it is between the two of them, I still think Josh gets the vote. I mean he is coming over for Thanksgiving Dinner. On tonight’s episode of Big Brother we will find out who will be the 9th juror. If Paul is sent to jury he will pledge his alliance to Josh. 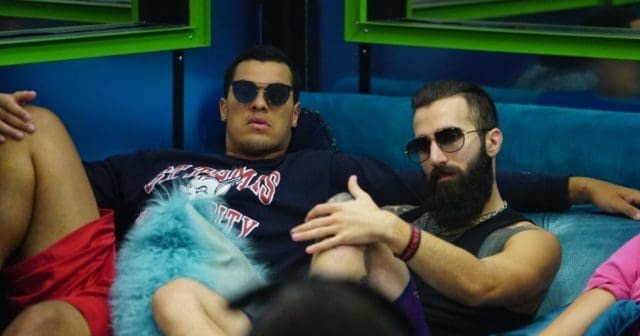 Though Josh has announced his solidarity is with Christmas, I still think he would give Paul the vote if he is the final jury member. Christmas is in love with Paul, so she will be voting for him. If Paul makes it to the final two, he will most likely be crowned the winner, but should take Christmas with him to the end to ensure that victory. If Josh becomes the final HOH, he will need to take Christmas to secure a win. Sorry, Christmas no one will be able to throw this win to you so you are going home a loser. Who do you think will win Big Brother? Let us know in the comments section below.